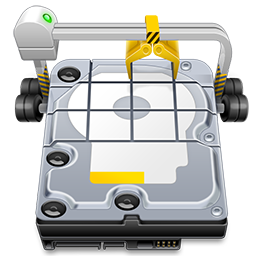 O&O Defrag Workstation 20.5.603 (x64) Portable ~ Apps2Portable | Free Portable Apps for PC ! Fragmented hard disks put the brakes on the servers in a company and as a result have an adverse affect on productivity. The level of fragmentation proportionally increases the time needed for accessing a hard disk. This in turn increases the amount of valuable time lost by each and every employee. The new O&O Defrag Server Edition for Windows servers optimizes your hard disk and packs file fragments securely back together again. Thanks to clearly displayed graphics and statistics, you can monitor the success of regular defragmentation. After every run you get a graph showing the before-and-after stats. You can then base your configuration of the program on these statistics to optimize the success yet more. Users of virtual machines know the phenomenon: the amount of data remains the same, but the memory for the virtual container increases and causes the virtual system to slow down. The new O&O Defrag Server Edition effectively eliminates and prevents this performance problem from occurring. For the first time, O&O Defrag can now optimize the actual memory allocation for virtual machines and SANs.